12 Labyrinths and mazes are waiting to be explored. 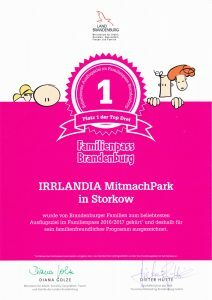 Over 50 attractions and creative games are waiting for your in our “MitMachPark”! 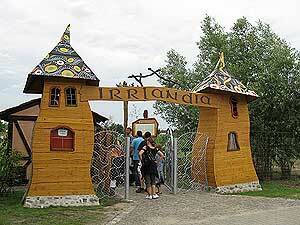 IRRLANDIA is also the place of the happy celebrations and diverse themed weekends – perfect for school and kindergarten trips or family birthdays. Quite the opposite: In our family park with a “close-touch-to-nature” theme you’re just right, if you want to spend an exciting day with your children, grandchilden or friends. 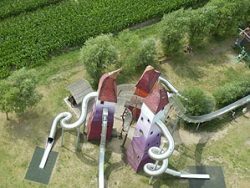 IRRLANDIA – der MitMachPark will be open again daily for the new season from May 18 until October 6 2019 and invites you once again to explore, romp around, play, climb, slide, swing, puzzle, build, craft, splash and throw – participate in the fun! The park is closed on Mondays in September. 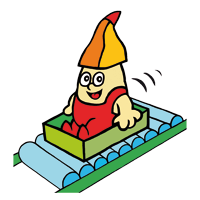 The biggest attraction in IRRLANDIA is Brandenburg’s highest Slide-Paradies. 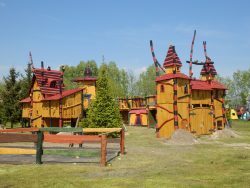 It consists of three climbable wooden towers and 5 metal slides. The highest is a free-fall slide of 12m. 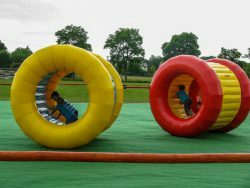 The Slide Paradies was build with the help of special EU and Brandenburg funding – namely (ILE) und LEADER. On hot days our waterspraypark is waiting for you to play around and cool down in it. 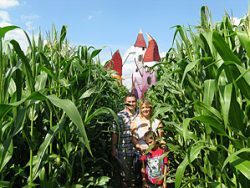 Starting July 6 2019 our popular 2h Corn Maze will be open with new paths to explore. Of course you also get to look for the rubber stamp stations this year. Collecting all and solving a quiz will give you the opportunity to win great prizes. 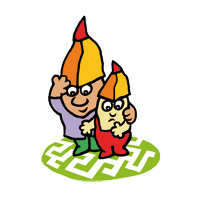 Just like the previous year we will follow the tradition of having themed weekends like the Kids’ Construction Site, Mousefest, Bandits & Knights, Potatoe-Festival, Pumpkin & Chestnut Festival as well as special events for the nation and international Childrens’ Days. You will find more details under “Events”. Let’s introduce: IRRsolde, LANdolf and DIAna – our dwars who only have slides, games and fun on their minds! We are really proud of this! 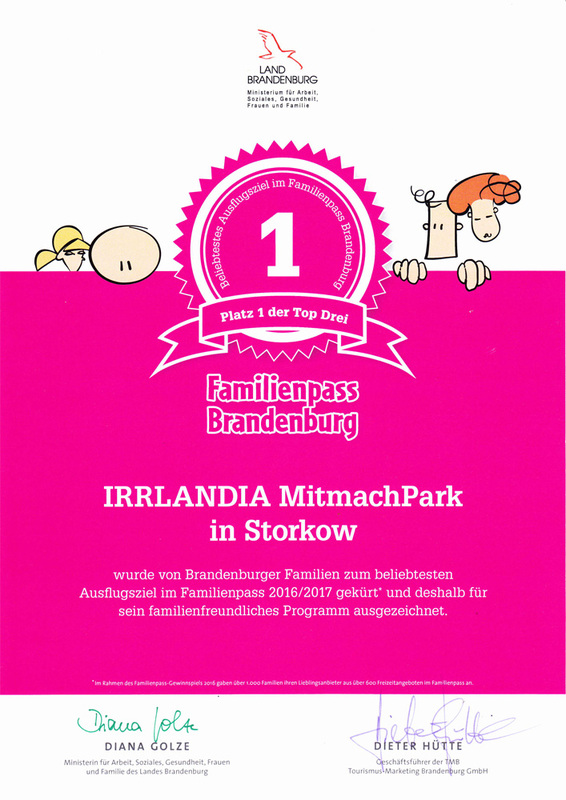 For the forth time were voted most popular attraction by the users of the Familienpass Brandenburg for 2017. This was honored with a certificate from the minister for family affairs – Diana Golze – and TMB CEO Dieter Hütte. …and we were voted most popular attraction for the 5th time in 2018!